These days, driving our cars everywhere we go, there are certain amenities in our cars that we take for granted, but that in reality, we just couldn’t live without. One of those amenities is the automobile air conditioner. Summers would be just miserable without air conditioning in the car. 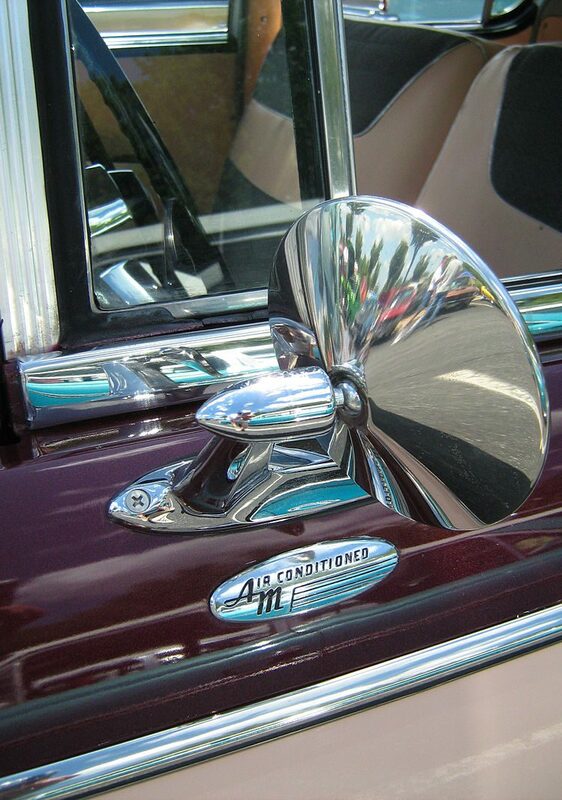 While a company in New York City first offered installation of air conditioning for cars in 1933. Most of their customers operated limousines and luxury cars. I don’t suppose too many people could afford to add that to their car. Then, in 1939, Packard became the first automobile manufacturer to offer an air conditioning unit in its cars. I’m sure that everyone who could afford to buy a car that year, was really excited about the possibilities. The cars were manufactured by Bishop and Co, of Cleveland, Ohio. The “Bishop and Babcock Weather Conditioner” also incorporated a heater. This looked like a perfect car. Cars ordered with the new “Weather Conditioner” were shipped from Packard’s East Grand Boulevard facility to the B&B factory where the conversion was performed. Once complete, the car was shipped to a local dealer where the customer would take delivery. There were some drawbacks, however. When you think about automobile air conditioning and heat, you immediately think what drawback could there be? 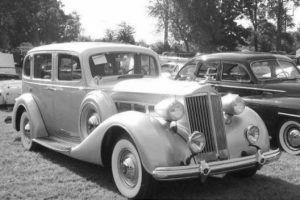 Packard fully warranted and supported this conversion, and marketed it well. However, it was not commercially successful for a number of reasons. The main evaporator and blower system took up half of the trunk space. That problem was alleviated as trunks became larger in the post-war period. The system became outdated by more efficient systems in the post-war years. 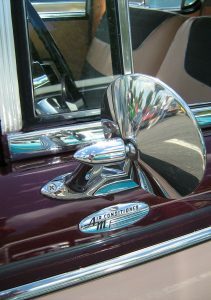 The original system had no temperature thermostat or shut-off mechanism other than switching the blower off, and even with the switch off, cold air would still sometimes enter the car with any movement as the drive belt was continuously connected to the compressor. Systems designed later would use electrically operated clutches to remedy this problem. The several feet of plumbing going back and forth between the engine compartment and trunk proved unreliable in service. Probably the biggest deterrent was the price, at $274, which would be over $4,692.12 in 2014 US dollars today, it was not affordable to most people in post-depression/pre-war America, but I doubt if the fact that you had to turn off the engine and get out of the car to flip the switch, located in the trunk made it impractical for the most part, and because it also had to be turned off the same way,and with no adjustment, it was something you had to do often. The option was discontinued after 1941. Of course, as you all know, while this version was discontinued in 1941, the air conditioner was not, because we all have a much more efficient version in our automobiles today.